The sanctuary is located between two beach ridges which were formed when glaciers and lake levels receded after the last ice age. 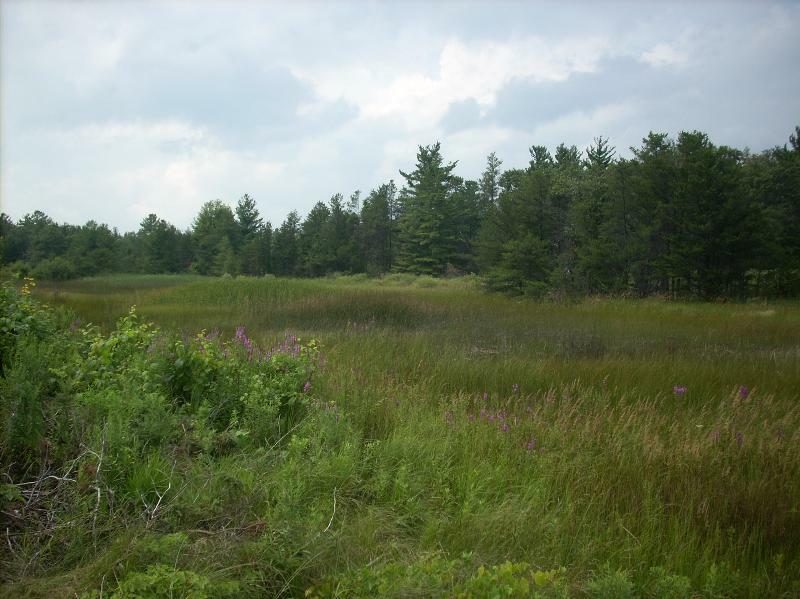 Between the ridges is a swale that contains emergent wetlands with significant cattail composition and Frink’s Pond which is a depression that holds standing water in most years. Jack pine, juniper, and little bluestem grass grow on the high sandy dunes. Wetland species such as long-billed marsh wren have used the marsh. Although the sanctuary is small, it is contained within a much larger wooded dune and swale complex.